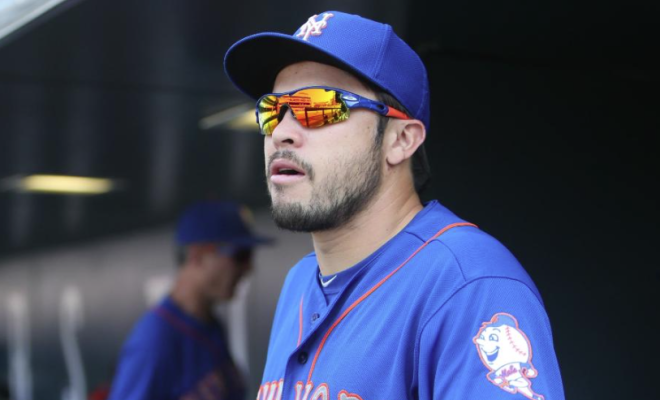 Why Should We Trust Travis d’Arnaud to Remain Healthy? Nobody debated that Travis d’Arnaud, who’s slated to be the Mets’ starting catcher on opening day, is loaded with offensive talent. 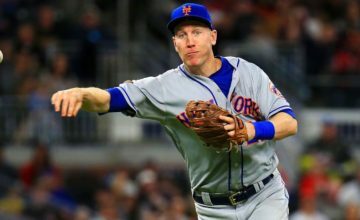 He has power to all fields and has the potential to develop into a good all-around hitter, which is why the Mets insisted he be one of the pieces in the R.A. Dickey trade, where the Mets got Noah Syndergaard and more as well. d’Arnaud was called up in 2013, and since then, he’s hit .245 with a .313 OBP. He’s hit 26 homers and driven in 87 RBI. That would be pretty good if those numbers were for one season, but Travis can’t seem to stay healthy. He’s had a couple of freak injuries, whether it’s being hit by a pitch or injured on a play at the plate, but it doesn’t seem like he can be counted on to play six or seven days per week. That’s where Kevin Plawecki comes in. During his rookie season, Plawecki hit .219 with a .280 OBP in 233 at-bats. He hit three homers and drove in 21 runs. He also played superior defense to d’Arnaud, which is a concern moving forward as well. Here’s the combined results from the catching position last year (with d’Arnaud and Plawecki): 15 homers and 62 RBI. Not terrible, but some tweaks need to be made to their playing times. d’Arnaud hasn’t proven that he can play five or six days per week, so how about d’Arnaud gets four and Plawecki get three? Should there be an off day, Plawecki should be the one to lose out, so d’Arnaud, the superior bat and likely number five hitter, could be in there in the key spots. 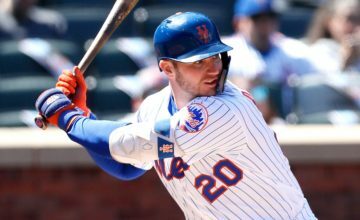 The Mets could also opt to carry three catchers, allowing one of them to be a pinch-hitting option late in games, but that wouldn’t be likely until late in the season. The three-catcher option also allows for defensive replacing with Plawecki. d’Arnaud needs to work hard on his defense, as that could become a liability, as evidenced in the playoffs last season. I think both d’Arnaud and Plawecki will both be key cogs for the Mets next season, but playing time distribution must be managed carefully. This way, both of these guys will be there for the hopeful playoff run. 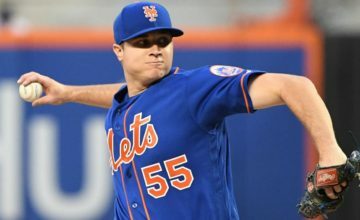 Do you trust Travis d’Arnaud to stay healthy? How would you use Kevin Plawecki? Tell us in the comments section below.